When the braai master means business. 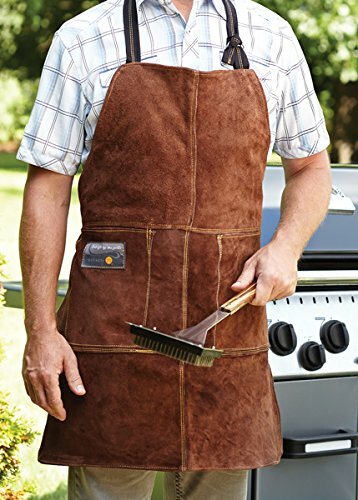 Keep him clean and safe with this durable leather grill apron. This grilling accessory features a durable brown-suede exterior with a flame-retardant lining while protecting clothes from splatters and hot grease. One size fits all with the adjustable neck strap. The apron ties around the waist and has two deep front pockets... ready to store all the tools, condiments and accessories needed.